including the Why? the Obstacles? and the Future? Some people talk about creating a world of peace, others believe it is an unobtainable dream, but the founders of Kids for Peace know that peace is possible! 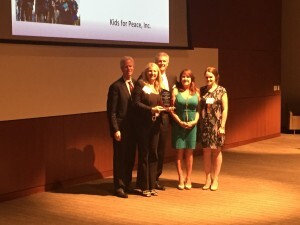 Kids for Peace was founded in 2006 by a concerned mom, Jill McManigal, and a high school honors student, Danielle Gram. What started as a backyard “club” of caring kids in Carlsbad, has grown into a global movement with over 350 interconnected chapters launched in 6 continents. Over 2 million youth are now actively engaged in creating a world of kindness, understanding, unity and respect. With children taking the lead, peace is possible! The story of Kids for Peace is inspiring as it offers hope for today and for future generations. In an age of pessimism, apathy and fear, Kids for Peace offers optimism, encouragement and joy. Kids for Peace reminds our community that children are the future, and as we support and encourage our young generation, a legacy of peace is created for all. 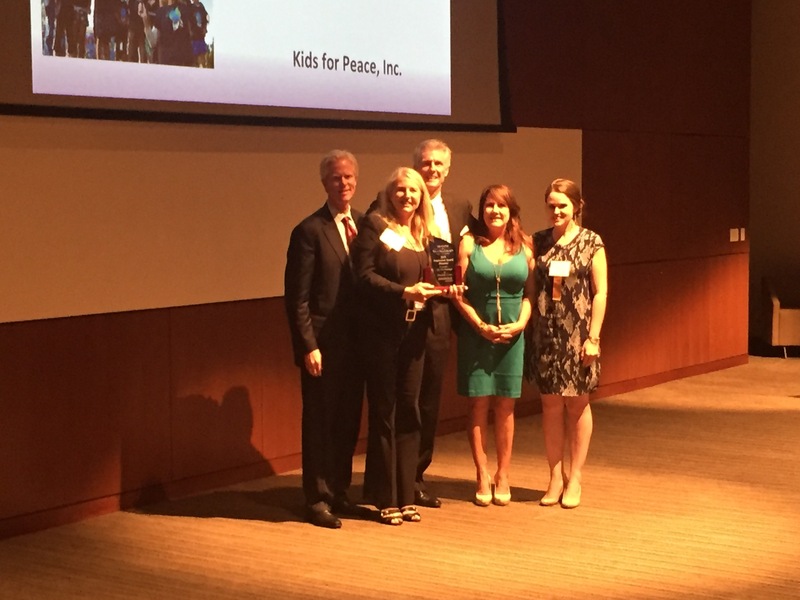 Kids for Peace has significantly impacted our San Diego community and far beyond. Most notably with The Great Kindness Challenge – Kids for Peace’s bully-prevention program now in its 4th year – was recently implemented in 207 San Diego County schools with 120,118 students engaged in creating a culture of kindness where all students thrive. They are on track to engage over 8 million youth in our 2016 Great Kindness Challenge. The accomplishments of KfP are extraordinary! In 9 years they’ve addressed the United Nations, presented on the House Floor of Congress, published 3 children’s books, delivered thousands of Peace Packs, traveled to high conflict areas (Pakistan, Uganda, Israel, Palestine, Rwanda, Bolivia, etc. ), support a school in Kenya, and inspired 100 million acts of kindness in The Great Kindness Challenge. Father Joe Carroll retired as chief executive officer of Father Joe’s Villages on April 12, 2011, his 70th birthday, but his legacy will remain vivid and lasting forever. Born in the Bronx, Joe Carroll came to San Diego at age 22 with only $50. He was ordained in 1974, and in 1982, Bishop Leo T. Maher asked him to lead St. Vincent de Paul. He became known for his TV public-service announcements asking for money. His fundraising success, used to buy more properties for helping the needy, received national attention. At the time of his retirement in 2011, Father Joe’s Villages had 500 employees and a $40 million annual budget. Inspired by the legacy of much famed Saint Vincent de Paul, what started 65 years ago as a small chapel serving San Diego’s impoverished has grown into a cutting-edge provider of effective housing programs and services. Today, Father Joe’s Villages empowers people to achieve self-sufficiency. As an industry thought-leader, Father Joe’s Villages offers solutions to address the complex needs of the homeless, regardless of age, race, culture or beliefs. Preparing up to 3,000 meals and working with more than 1,500 individuals every day—from infants and adolescents to adults and seniors, the organization’s primary goal is to transform lives and end the cycle of homelessness. April of 2010, Jennifer Ables taught what was supposed to be just a 6 week series of dance classes to 7 Iraq and Afghanistan veterans from the USMC and USN. Each had lost one or more limbs during their combat duty tours. The goal was not only a physical therapy challenge, but to bring some fun and laughter to those who had served so honorably and sacrificed so much in service to our country. Seeing the much bigger connection to the veteran and his family, Jennifer asked to continue the project as a volunteer to continue to create magical moments between husbands and wives, many of whom had not danced together since their wedding. She went on to form a non-profit, Soldiers Who Salsa, that now operates 11 weekly classes throughout 7 states and continues to grow and expand at the request of veterans from across the nation who have heard about this unique therapy. Jennifer moved from the DC area to San Diego with no friends, family or job here. With her strong family connection to the military, she volunteered her time to start an amazing project and has now dedicated her full-time work to reaching as many veterans as she can through her work. She started from scratch and has now built an expanding nationwide charity. She is teaching our veterans a skill that can last a lifetime and requires no additional equipment or expense to do. Her program teaches weekly classes and hosts quarterly outings to help reintegrate our veterans into their local communities. 22 veterans a day take their own lives due to depression and post-traumatic stress, and her organization reaches this population because they are based at military medical facilities. Soldiers Who Salsa works with wounded, ill, and injured military veterans from every branch of service. Some veterans have limb amputations, traumatic brain injuries, and post-traumatic stress. It is a unique therapy program that allows patients to participate with their spouses and loved ones in a way that no other program does. Nominated By: Darren Cecil, San Diego Sales. Inc. Growing up as an African American in South Carolina during the 40s was not easy for Gordon Brown. He overcame poverty, discrimination, segregation, and racism. And, it formed him into the man that he is today. Some of his obstacles included traveling over 100 miles to the nearest golf course that allowed colored people on their greens and making tees out of mud. He now has created a non-profit that gives back 100% to the children. The San Diego Junior Golf Academy and Foundation (SDJGAF) opened its doors in June 1997, with the sole intention of introducing the wonderful game of golf to all children between the ages of 5 to 17, especially in the inner city. Partnering with Children, Youth & Family Network (CYFN), whose mission is to create alternatives to traditional service provision for children and young people with complex social, physical and emotional needs, we can meet our children’s needs, thus, improving their daily life, education, and golf experiences. San Diego Junior Golf has made the game of golf available to children all across San Diego. Promoting self-esteem, educational skills, and preparing children for the future. Donate Your Old Shoes’ mission is simple, “Put shoes on the shoeless worldwide.” So many people in different parts or our world walk around barefoot, not by choice, but because they lack the resources to put shoes on their feet. This sad reality became increasingly evident to founder Philip Cleary and his family during a 2006 trip to Nicaragua. Seeing all the adults and children walking around in trash filled streets broke the Cleary family’s heart. It made them think of all the old shoes they had simply tossed in the trash over the years. What a difference those old shoes could have made for these underprivileged people. It was then when Philip and his family had the vision for Donate Your Old Shoes. The Clearys witnessed extreme despair while overseas and decided they could make a difference in these people’s lives. This family charity runs with hardly any overhead expenses and no payroll. The Clearys estimate that they have shipped or delivered close to 100,000 pairs of shoes over the past 5 years to the Philippines, El Salvador, Haiti, Honduras, Nicaragua, Zimbabwe, Liberia, Guinea and Togo. The original goal was just 25,000 pairs. The need remains great and their new goal is to now ship 1,000,000 pairs of donated shoes to the poorest of the poor. Without proper supervision and procedures, the distribution of these shoes can become extremely dangerous for those involved. The Clearys have seen such chaos and aggression that these desperate people will do almost anything to get a pair of used shoes. The demand for these old shoes is truly unbelievable. Phil Cleary tries to assist as much as he can in the actual shoe distribution process. Jennifer Crone started the Brunch Club by deciding on her birthday to buy a bag of bagels and pass them out to the homeless. From there she decided to gather some friends and to start passing out food. A year later hundreds have volunteered their time to help the Brunch Club reaching over 3,000 people in our community. Little notes are included in the paper lunch bags to encourage those receiving them and to pass on a sense of community. Jennifer’s story is not only selfless but embodies the whole meaning of life, giving back. She gave up her job and hit the ground running when she started this non-profit. It is pretty remarkable what determination and a dream can become. It started with being selfless on her birthday of all days. Most people are looking forward to getting free things for their special day, Jennifer gave back. She is touching so many lives not only the people she is giving to but the people who she has recruited to help. She is an inspiring person! It starts with one, and moves not only people to give but the world to be a kinder place. Butterfly effect. Dr. James Dunford is a highly acclaimed emergency room physician who has served as the Medical Director for the City of San Diego since 1997. In this capacity he has led the development of nationally recognized EMS programs including Project Heartbeat (public access defibrillation), the Serial Inebriate Program addressing chronically homeless alcoholics, the Clean Syringe Exchange Program to reduce disease transmission among addicts, and the Resource Access Program to help case manage the population of vulnerable frequent users of EMS 9-1-1 services. In doing so, he has improved the health and welfare of many of our community’s most vulnerable members. Dr. Dunford is an exceptional physician with an extraordinary passion for addressing the health challenges of society’s most difficult to serve members. His leadership has helped make the case for several programs to improve cardiac arrest and stroke survival rates in San Diego and to provide improved housing, medical and psychological services for our homeless populations. Dr. Dunford’s story of selfless commitment to the health and welfare of those who society often ignores is an inspiring story that calls others to question whether they are doing all they can to be of service to others who are less fortunate than themselves. And, it serves as a guiding light to others who wonder if they can make a difference. His true legacy lies in the well-being of the many members of our community whose lives have been saved or improved through his compassionate advocacy on their behalf. Nominated By: Javier Mainar, Fire Chief San Diego Fire-Rescue Dept. Deborah Lindholm is the founder and director of San Diego-based Foundation for Women. She has committed her life to dramatic reduction in poverty. Her method, original at the start, is now well known. Through the Foundation for Women, Deborah has provided over 1,000,000 microcredit loans to women in Liberia, India, Zambia, and even home in San Diego. Through these very small loans, coupled with business coaching and an accountability group, women are able to start small business such as chicken farms, bakeries, markets, or – as is well known at La Jolla Rotary – coffee production. With the income generated, they repay the loans, provide food and shelter for their families, educate themselves and their children, and end the cycle of poverty in their family. Deborah has developed a very effective team in Liberia, West Africa, where she has brought great assistance as the country recovers and rebuilds from recent conflict. Through dozens of trips to Liberia, she has crossed not only the Atlantic, but also a similarly wide ocean of social and racial difference. She has promoted a spirit of tolerance, not expecting the Liberians to be like us, but educating both sides of the pond to accept the differences and work together to solve a problem. Her actions support her words, and her deeds lead to better lives and peace between our countries and in the region. Above all, Deborah’s strong leadership has built goodwill across the ocean, and peace in the world. The accomplishments of KfP are extraordinary! In 9 years they’ve addressed the United Nations, presented on the House Floor of Congress, published 3 children’s books, delivered thousands of Peace Packs, traveled to high conflict areas (Pakistan, Uganda, Israel, Palestine, Rwanda, Bolivia, etc. ), support a school in Kenya, and inspired 100 million acts of kindness in The Great Kindness Challenge! Terry Kaltenbach and his wife Linda, co-founded the Yellow Ribbon Suicide Prevention Program, San Diego Chapter in October 1997 following the death by suicide of their 14 year old daughter. As the Executive Director, Carol and the Light for Life Foundation has taken their Yellow Ribbon program to a level no one could have imagined in 1997. The impact of the Light for Life program and the Yellow Ribbon Suicide Prevention Program on the county’s youth is profound. Over 5,000 lives have been saved worldwide since 1995 when the Yellow Ribbon program was first introduced by Dale and Darlene Emme in Westminster, Colorado. With Yellow Ribbon Chapters throughout the United States, Canada and Australia, the long-term impact of this program has been felt throughout San Diego County and far beyond. The fact that this program is a youth reaching youth program gives it legs and the simplicity of the card and its message is what makes it so effective and has sustained it over the past 20 years. Michael Bradshaw, First Vice President of the Merrill Lynch SD, has spent many years of voluntary service on the Foundation for Developmental Disabilities Board of Directors. He generously donates his time and talents to create and develop housing, education and job opportunities for persons with developmental disabilities. 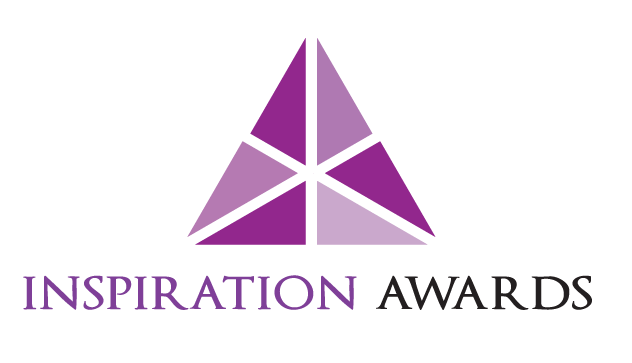 The mission is to provide support and to raise and distribute monies to promote creative and innovative programs, when needed services are not available from other entities such as governmental or private resources. 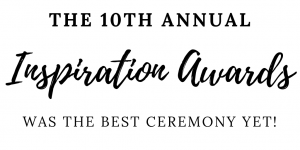 Nominated by: Wayne L. Schmidt, Canon Solutions America, Inc.
Executive Director, Angela Kretschmar, began with a simple request from her pastor. Serve people in the community with food. God has amazingly led Angela to form a non-profit called Heaven’s Windows. Serving hundreds of people in the community every day, Promoting available resources and provides support and emergency services for residents, hunger relief, nutritional educational, advocacy, and community service. Heaven’s Windows works towards building bridges to improve the quality of life in the greater San Diego area by bringing together other charitable organizations for mutual benefit. 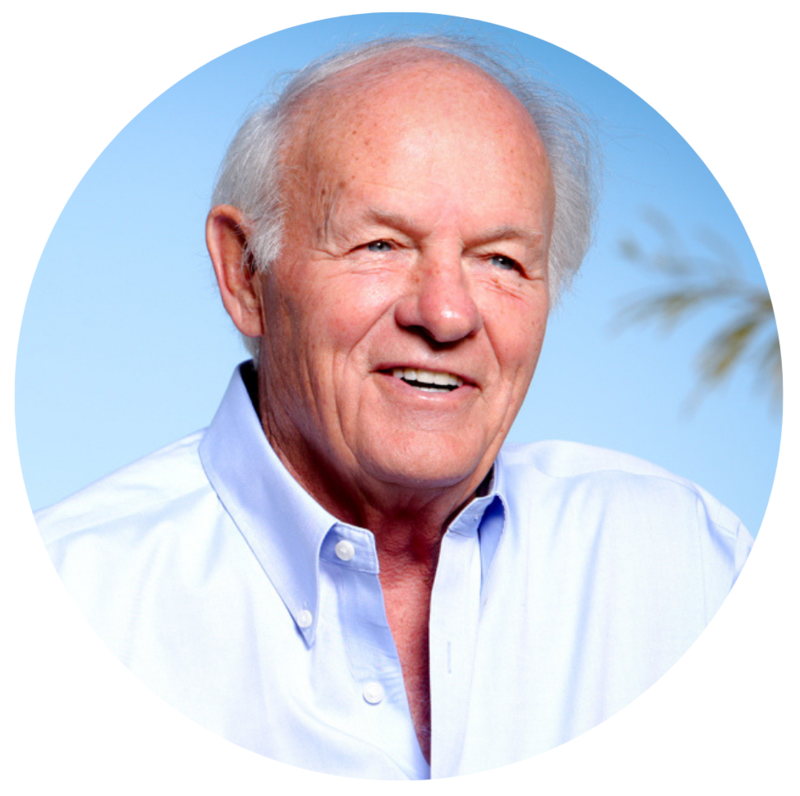 Established more than forty years ago by World Champion Boxer, Archie Moore, the mission of the Any Body Can Youth Foundation remains the same today – “To empower San Diego’s inner city youth to face life’s challenges with courage and dignity.” Billy Moore, Archie’s son, is now running the Foundation started by his father. From its earliest days, the Foundation was concerned with the temptations of gang life, and the challenges of poverty in preventing youngsters from reaching their potential. Erin Weidemann is a driven and determined individual who is deeply commitment to bettering the lives of children and their families. Her story is compelling and a real, honest, and beautiful encouragement to others. Inspired by God and her daughter, Rooney, Erin wrote Bible Belles, an original children’s book series that presents real heroes like never before! The series highlights the stories of five superhero women of the Bible: Hannah, Esther, Abigail, Ruth and Deborah. Together they show girls what it really means to be truly beautiful. Pastor Von, known by many as the “Father Teresa of Tijuana”, at the age of 86, continues to serve the poorest of the poor in our neighboring community. Ministering to their most basic needs of food, medicine and practical love, he is the truest example of walking the walk that he teaches. He is now on his 4th generation! His emphasis is as the surrogate “grandfather” to hundreds if not thousands just across our border. He is the voice of service, taking thousands to Tijuana and surrounding areas to minister to the poor.